This year the top hotels in Seoul are doing their best to scare the life out of you with an unprecedented range of imaginative and terrifying parties. You might be afraid but you can't fail to find somewhere to enjoy the celebrations. With so many parties on offer, surely the scariest thing about it will be trying to work out which one to attend. Although Halloween is relatively new to Korea, it is one of the oldest and most wide spread celebrations in the World. 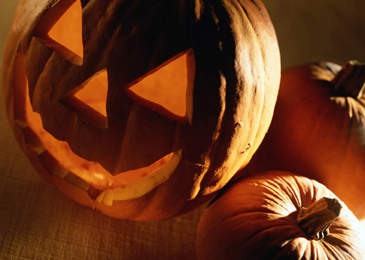 It was originally an ancient Celtic festival called Samhain to mark the end of summer. Later the celebration was merged with the Christian All Souls Day celebration which was called All hallows and the night before it, the night of Samhain, became known as All hallows Eve and, eventually, Halloween. their Halloween costumes for parties. If you are not out trick or treating this Halloween, you have a daunting choice of events to consider at some of Seoul's leading International hotels. The list of hotels and events just keeps growing as they compete for the top accolade in this year's Fright Night. Here at The Seoul Times, we thought we would help you untangle the mystifying range of events on offer and give our readers summary of where to go this weekend. The current line up of hotels weighing into the fray includes Millennium Hilton's Areno, Grand Intercontinental Seoul, Lotte Hotel, Grand Hyatt Hotel, Westin Chosun and J.W. Marriot. Not to mention the Accor Group Hotels who have three nights of parties at Novotel Ambassador Doksan, Novotel Ambassador Gangnam and Sofitel Ambassador. All of these luxury hotels will be planting rather than dusting off their cobwebs for the celebrations this week. Each of them is trying to outdo the others to put on the best Halloween spread for you. They all have dedicated teams of staff who will help you get into the festive spirit and devote their time and energy to make this Halloween the scariest ever. Millennium Hilton's Areno will party the night away on Oct. 29, 2005 as their staff transform the nightclub into a dungeon of ghosts and witches. People can dance to hip hop, R&B and the blues. They can also listen to the new Fusion Band starting at 7 p.m. Best of all there will be no cover charge! For more information you can contact Areno at 02-317-3244 or visit www.areno.co.kr. If you like an excuse to dress up and put on some makeup, you should head straight down to Hunter's Tavern at the Grand Intercontinental Seoul for their frightening festivities on Oct. 27 and Oct. 28, 2005 from 8 p.m. They have face painting and a costume contest with prize giveaways for a complimentary buffet. The music will be taken care of by a Philippine band. To find out more call 02-559-7619 and remember there is no cover charge either. Don't forget about Lotte Hotel. Their parties will be on Oct. 27 and 28, 2005. Celebrants can visit Bobby London at Lotte Hotel Seoul on Oct. 27 and the Peninsula on Oct. 28. 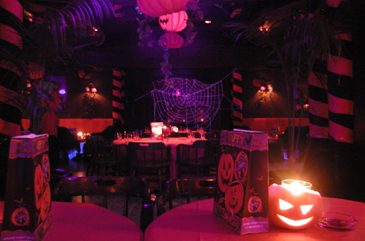 A Halloween bash will be held at Lotte Hotel World's Lobby Lounge on Oct. 29. The party will begin with a live band at 5 p.m. so make sure you arrive early. 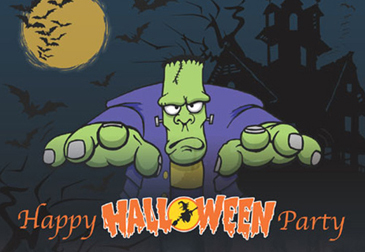 All you ghosts and ghouls can enjoy a dance party, Halloween quiz, magic show, lucky draw, costume parade, games and a divination event. Lotte Hotel's Peninsula will provide a buffet from 7 p.m. offering unlimited beer and wine with a complimentary cocktail for the ladies. The dance party will cost 39,000 won (about 39 US dollars) and you can get more details from Ms. Gina Kong at 02-759-7560. The list of hotels keeps on growing and many other hotels in Seoul will be throwing Halloween parties too. J.W. Marriot will host a Halloween Rock Festival at the Italian Restaurant and Lounge on Oct.28, 2005 from 6 p.m. to 1 a.m. You can call 02 6262-6762 to learn more. Exit-T will perform at Grand Hyatt Seoul's Halloween party. 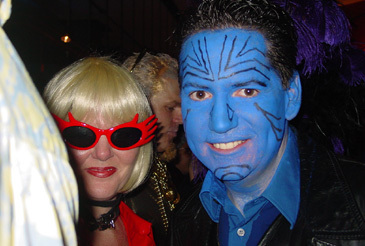 People can participate in a costume party. The cover charge will be 40,000 won but 35,000 won with a reservation, so make sure you call 02-799-8601. Westin Chosun will have a Halloween party at O'Kim's sports pub on Oct. 27 and 28, 2005. Events include "Couple Mummy Wrapping," a costume contest, guessing the weight of a massive pumpkin and a lucky draw. They have some great prizes to give away too, including bottles of whisky and wine, hotel accommodation, dining certificates, cigars and more. The cost is 20,000 won and you can call 02-317-0388 to find out more. The Accor group are pulling out all the stops this year with a different themed event at each of their main Seoul hotels: the Novotel Ambassador Doksan; Novotel Ambassador Gangnam and Sofitel Ambassador. Over the weekend, each hotel will have its own unique theme and events for the thrilling nights. Novotel Ambassador Gangnam will have the Adam's Family greeting guests, Novotel Ambassador Doksan has got Alex Band playing live and Sofitel Ambassador Seoul has performances by its in house Live Band and DJ. 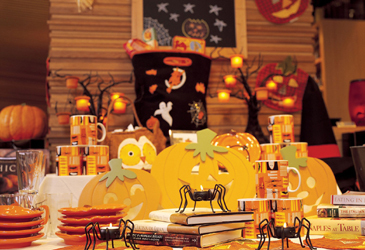 The Novotel Ambassador Gangnam Halloween Party kicks things off on the 27 Oct., 2005 and happens again on the 28 Oct. There are set menus for each night ranging from 200,000 (about 190 US dollars) to 350,000 won (about 330 US dollars). For this you get varied selections of liquor and side dishes as well as performances by DJs and the Part-E band. If you are feeling lucky, you can enter the Lucky draw and scoop up some of the great prizes on offer from free accommodation to festival buffet coupons and SHUNMI weekend buffet coupons. Novotel Hotel Doksan's "Horror Party" will be held at Gran A on Oct. 28 and 29, 2005. The cover charge will be 300,000 won for two people and you get entrance, a buffet and a bottle of liquor. To keep you entertained, they have a performance by the Alex Band as well as face painting and a lucky draw with prizes such as a 25" TV, DVD player, microwave, bicycle and buffet coupons. The Accor festivities carry on right through until Monday with their last party at the Sofitel Ambassador Seoul. They have lucky draws, Halloween decorations and live DJ and MC performances to keep your spirits high. Entrance is 300,000 won for two people and you get side dishes, a bottle of liquor and welcome cocktails. As you can see, you might get scared this Halloween but you will not be bored. These major hotels offer much in enjoyment and horror. All the staff will be working on their make up and costumes and anxiously waiting for Halloween to come and the witching hour to begin. And so should you! Can Britain Succeed Where Hwang Failed? Mr. Adam Dean serves staff writer and photo journalist for The Seoul Times. He majored in fine arts valuation at Southampton Institute, UK, and worked as a communications and marketing specialist for a leading consultancy in London before he arrived in Seoul in July 2005. He has also traveled independently overland through Asia and the Middle East.